Are you looking for a unique gift idea? A gift that stands out from the rest, and will be treasured and loved? For me there is nothing better than a personalized gift. This is a gift that is so very meaningful to me and is something I just love. Well, I have come across an amazing one of a kind gift idea from Collage.com. 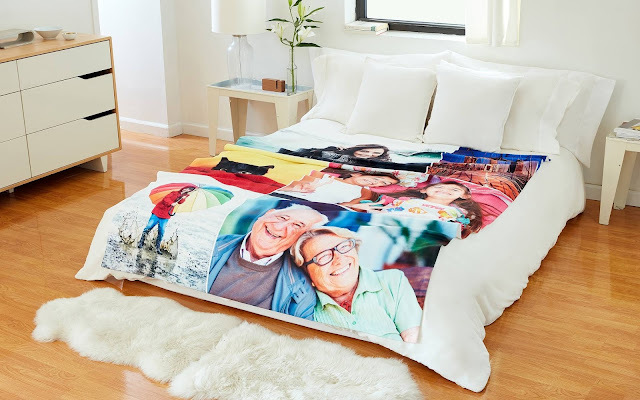 The photo blanket by Collage.com is the gift you have been looking for! The photo blanket can be filled with one photo to up to 80 meaningful, thoughtful or just plain silly memories. Imagine giving this as a gift for a graduate of the memories throughout school. Or a birthday present taking a stroll down memory lane! The possibilities go on and on! 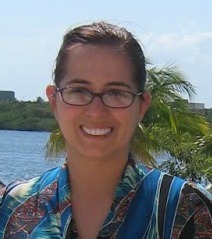 I was very fortunate to be able to check out a blanket, that I created on collage.com. Was it difficult to get the pattern of photos together? Not at all! 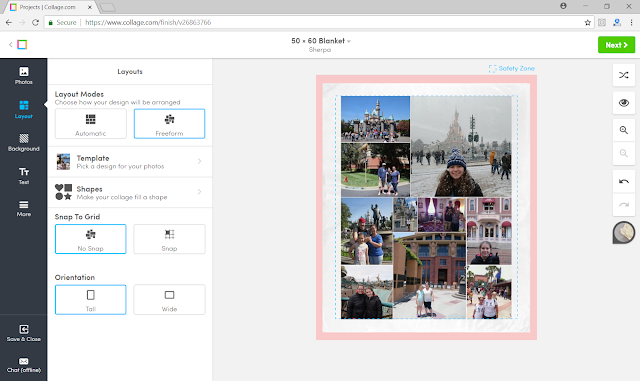 With Collage.com’s product builder, it was super easy to choose photos and move them and rearrange them to make the perfect photo blanket. With the builder you can add photos from Facebook, Google Photos, Instagram, or from your computer, then arrange by dragging and dropping. You can also pick a background or add text, it is super easy to create the blanket masterpiece. The hardest part was choosing the photos! And that was not collage.com’s fault that is just my indecisive nature... What to choose? What to choose? I went with what we love, Disney! A collage of our many adventures from Disney World to Disneyland to the Walt Disney Studios, to our most recent adventure Disneyland Paris! After I was done creating the blanket all that was left was to order and wait for the cool blanket to arrive. The 50×60 Sherpa blanket originally sells for $109.99 but it is now on sale for 50% off the sale price is on $54.99! Not that bad of a price. I was shocked when my blanket arrived in 5 days! Wow! That was so very fast for a customized product. As soon as this arrived we were so excited. I had this as a surprise for my family and we all opened the package together. And boy was I impressed, the blanket was amazingly soft, on the front and on the back. The quality of the pictures was amazing. I was very happy with the blanket. This is something I will treasure and use for many years to come. It will remind us of the fun times we had and encourage us to go out and have some more fun! Is there anyone on your gift list that would like a photo blanket like this? The generous folks at Collage.com are giving one of Susan’s Disney Family readers a chance to win a 50x60 Sherpa blanket from Collage.com of your very own! Would you like to enter? 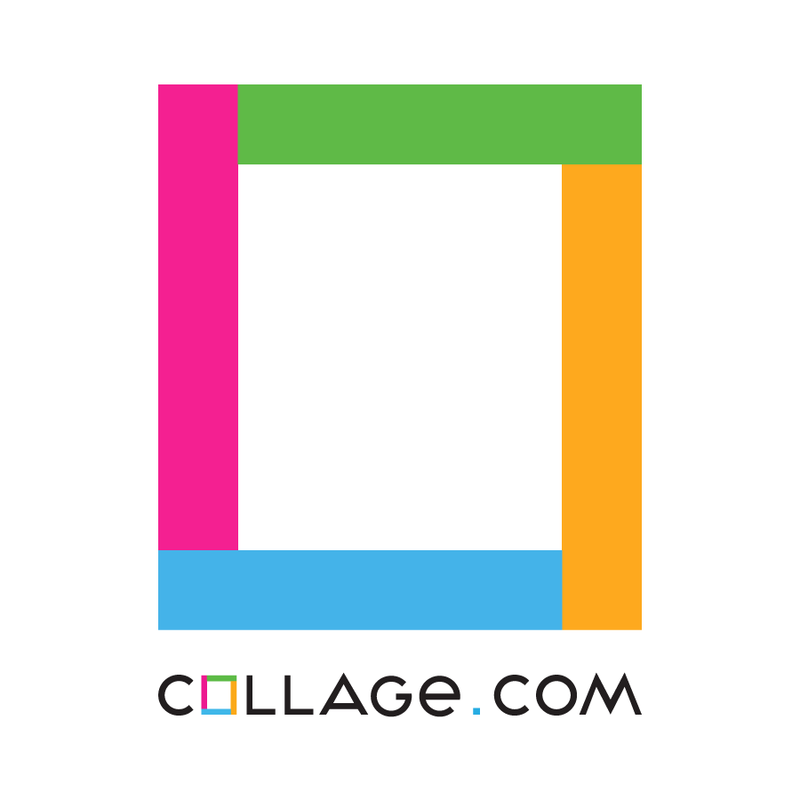 Please visit Collage.com, and tell me what you learned from the site. Or you could also let me know what picture/s would you make into a blanket? Would they be graduation picture, birthday pictures or travelling pictures or… the possibilities are endless? What would you choose to make your blanket? There are also other ways to enter, please enter below. You can purchase your own quality blanket from Collage.com! One winner will win a 50x60 Sherpa blanket from Collage.com (including shipping) a $175 ARV! I would like to have the Country Basket Blooms and keep it for my dining table. Beautiful! I would choose a plush serpa throw with family pictures. I liked the 20x24 Canvas Print. They have a lot of really cool products. I would order a phone case. I think it would be cool to get a phone case with a picture of my dog. I would love some canvas or metal prints! I liked the custom iphone cases. I would like the metal prints. I would make a collage blanket with pictures of all my grandchildren, my newest on was born today! The blanket is actually my favorite product but my next favorite is the canvas prints! I have a lot of pictures of my daughter's senior year: prom and graduation and senior pics that need to be put on canvas... or on this beautiful blanket. I would love to do a Sherpa plush blanket for my daughter!